Waterworks specializes in compact, re-locatable, economical and easy to operate systems for water and wastewater treatment. Waterworks’ containerized filtration systems come complete with automatic operations for backwashing and are built from high quality parts. 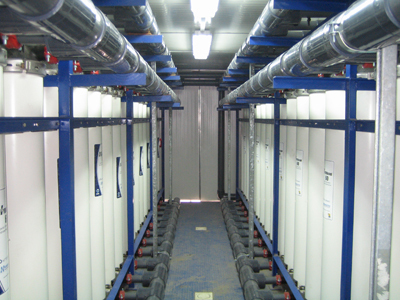 The containerized RO systems include a CIP (Clean in Place) system to aid in prolonging the life of the membranes. Waterworks’ systems use the highest quality thin film composite membranes and superior equipment and products.